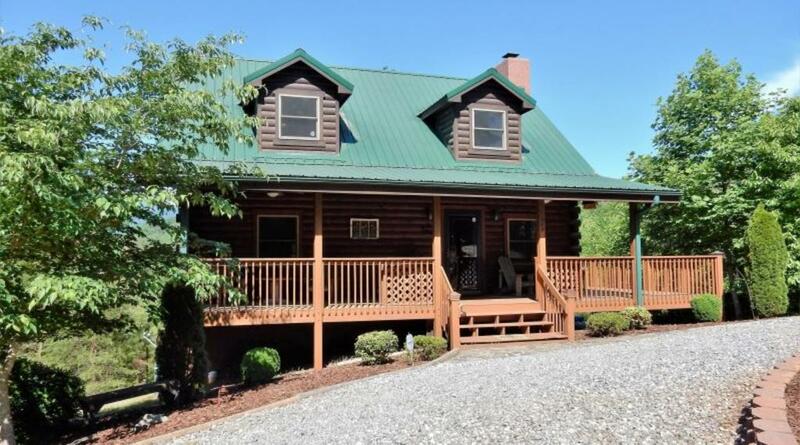 "A Shady Retreat" is a beautiful log home, surrounded by picturesque forest with a private lake a short walk or drive from the cabin. It has sunny and shady porches overlooking lovely mountain vistas in the private, gated community of Riverbend at Lake Lure. 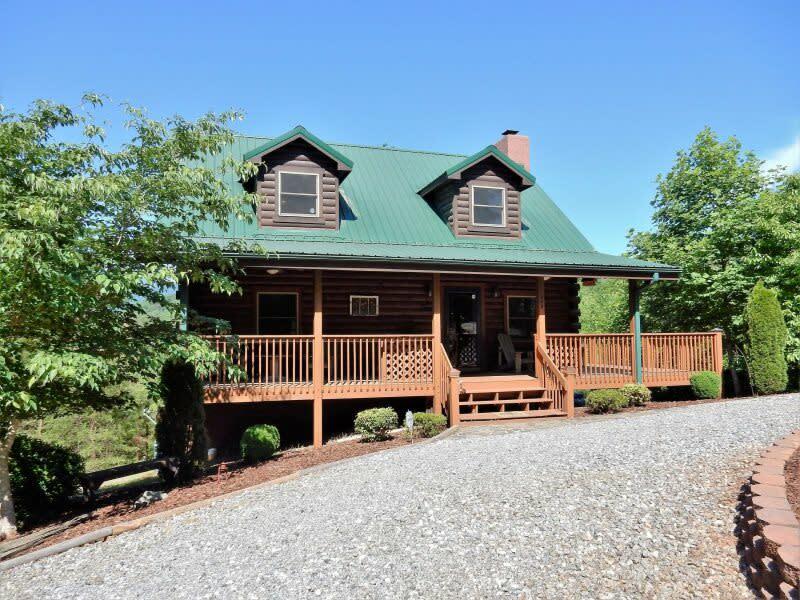 This cabin is 7.5 miles from the Lake Lure Beach and 8.5 miles to Chimney Rock State Park. This family-friendly (sorry, no four-legged family members) home-away-from-home has 3 bedrooms, plus a loft, and a game room all set for air hockey and movie-watching. It is well-equipped with all the comforts of home plus some! The main level has a nice great room with gas-log fireplace, fully equipped kitchen with upgraded appliances, super cozy bedroom with queen bed and full bath with access from hall and bedroom, there is also a laundry room with large capacity washer and dryer. The upper level has a comfortable and private master bedroom with king size bed and full private bath. This level also has an open loft with comfortable seating area, sofa that opens into a queen size bed and also a sunny deck to enjoy the view. The lower level has a cozy family room with large TV, comfortable furniture to relax and be comfortable, games and books, an air hockey table, a bath with shower, and a very comfortable private bedroom with king size bed - bath is accessible from the bedroom and family/game room area. The family room also has patio access with outside seating and corn hole game boards for family fun. Lots of room for everyone!